We use a process called dye sublimation to produce our products. This process produces bright, crisp images on a wide variety of pieces that are utilitarian as well as beautiful. We welcome orders for any of our products. If you see items at a show that you don't see listed here, please contact us for more information about them. 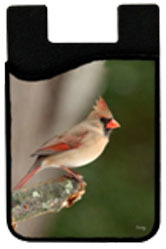 FYI: We can useYOUR images to create any of the items we offer. We don't charge an extra set-up fee--the things we personalize for you cost the same as the ones we sell at our shows, unless we need to ship them (we look for the cheapest method--usually USPS). Send your order to us via email to sue@teacherswithcameras.com (best method) or send us an order via USPS. Please specify the item and the picture you want on it. If using our galleries, please give us the number of the photo in its title. If you are sending your own photos, see our Photo Suggestions. For information on our prices, go to our Price List. Our main products are our ceramic coasters. For information about them and to see the galleries of photos we offer as coasters, please go to our Coasters page. 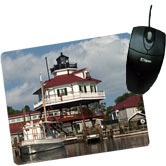 The other products that we routinely carry to shows include: Sandstone coasters (round and square), soft coasters (round and square), ceramic car coasters, mouse pads, jar lid openers, phone caddies, sticky notepad holders, large and small cutting boards, key tags, magnets, desk clocks, towels, and placemats. We have other products that we can make as special orders. Please contact us for more information. Any of the photos that are featured in our galleries can be made into aluminum prints. The usual sizes include 8x10, 11x14, 12x16, and 12x18. Please contact us if you need other sizes.